Bounding Into Comics - Intermarkets Inc.
Bounding Into Comic is THE destination for comic book junkies. Prominent writers, publishers and artists contribute news, reviews, and insightful insider opinions and commentary. Readers get sneak peeks and in-depth analysis on upcoming comic book movies, television shows, books, and collectibles. 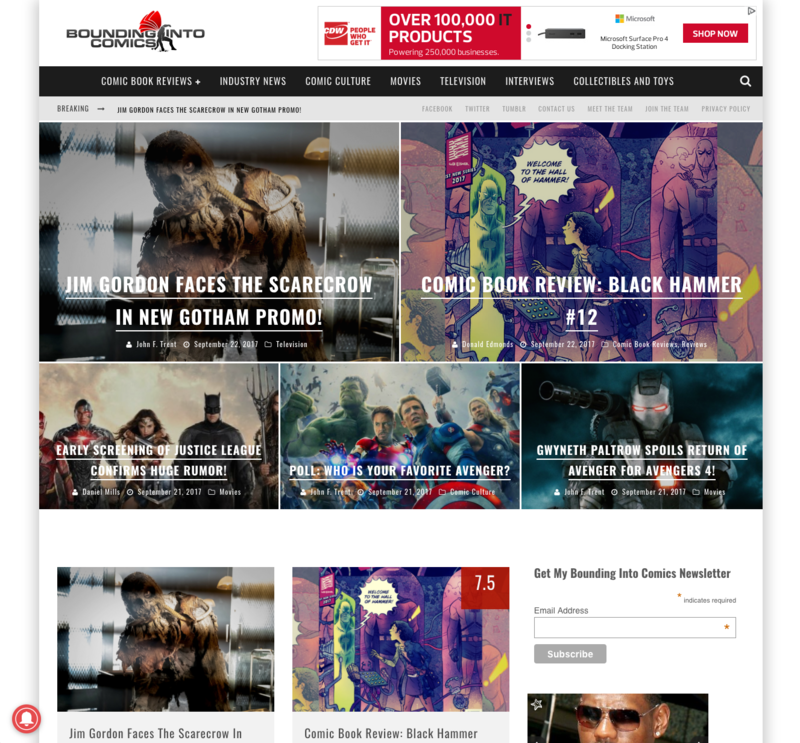 Advertising on BoundingIntoComics.com allows advertisers to reach this highly coveted 35-55 male audience. Enthusiastic readers are quick to get the latest information through their mobile devices. Bounding Into Comics brings together readers that enjoy sports, military, entertainment and TV, as well as their latest comic heroes.